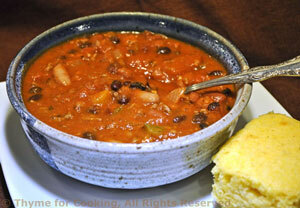 Easy Dinner from Thyme for Cooking: Chili, a cold weather classic. Yes, I know it's not proper.... But I tossed in the remaining 1/2 cup of chickpeas. And all of the odd bits of tomatoes. This makes 6 - 8 servings but freezes well. Freeze the rest and/or have it for lunches. 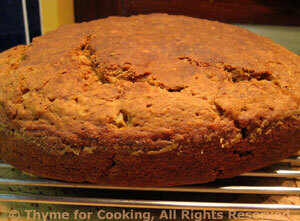 Refrigerate or freeze the rest of the soda bread for another meal as well.